The EFX546i Verison 3 Elliptical incorporates Precor’s CrossRamp Technology which allows users to focus on a variety of lower-body muscle groups by simply adjusting the elevation of its ramps. Its electro-magnetic breaking system provides a quiet and efficient workout, while its Double Step-Up Flywheel allows users to closely simulate the motion of walking or running with minimal impact. It is designed with a Soft Touch Display that allows users to easily adjust their settings with the graze of a finger instead of the push of a button. Additionally, the EFX546i provides users with the option of striding both forward and backward allowing them to target different areas of the lower body. 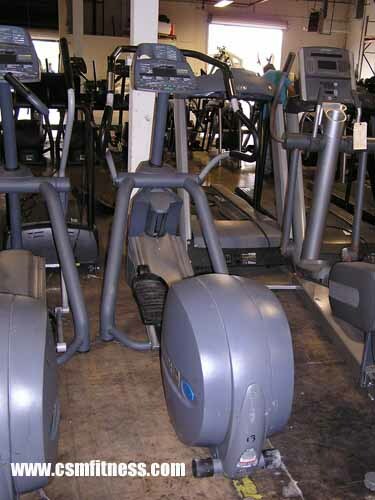 With 20 levels of resistance and 9 workout programs, the Precor EFX546i is a self-powered elliptical that is designed to accommodate its users in both a home and commercial environment.